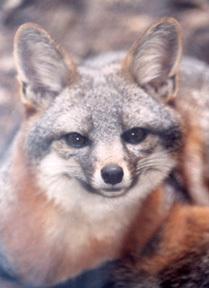 Canine Distemper poses a serious threat to endangered Channel Island fox populations across all six islands where they live. $5,000 to vaccinate 500 island foxes in fall 2015 against Canine Distemper Virus and rabies. Introduced disease is a major concern for these isolated populations. Working as a community of concerned citizens, you have helped to assure that even if catastrophic disease is introduced 100 individual island foxes will be protected from disease on each island. The annual counting of Channel Island foxes and providing of health checks has recently concluded for the 2015 year. 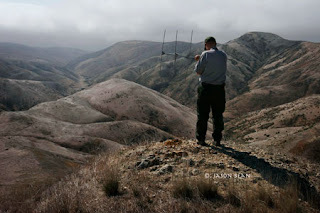 See what it's like to work as a field biologist counting island foxes. The biologists will be taking the data they have collected this fall to estimate island-wide population numbers and trends. 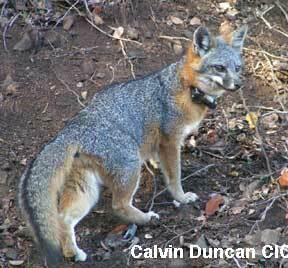 We know that drought has impacted some island fox populations. We will see if scattered spring and summer rains improved island resources. Thank you again to everyone who helped support FIF's 2015 vaccination fundraiser. 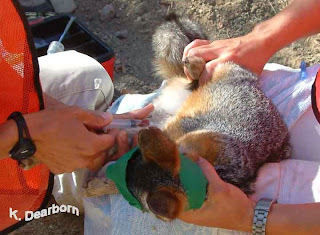 Working Together We Are Saving the Channel Island Fox.